Richard Avedon is widely regarded as one of the greatest photographers ever. 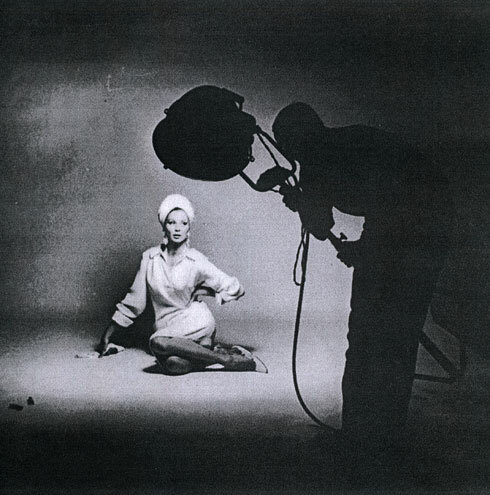 In his early photographer/model studio work he used one strobe light. I never worked with Avedon or met the man, but I’ve studied his images and looked at his studio set ups. If one strobe worked for Avedon, is it good enough for us? I think so. Over-lighting looks cheesy. There are gazillions of examples out there. Less is more. Great design and style come from simplicity. One light is natural. How many suns are there? That’s the light we see every day. The Dutch Masters used one light source. Rembrandt, Vermeer, Hals …… they were pretty good. Quality not quantity. There is plenty of quantity in one high-powered flash unit. Quality comes from light modifiers. You can make hair highlights look exactly like you want in post-production. Easily. But not if you’ve over-lit the image. Use the money you saved on multiple strobes to buy light modifiers. Change the quality of light with beauty dishes, octaboxes, softboxes. etc. Reflectors do a masterful job of softening shadows if you get proper exposures. Pay attention to the direction of the light. Learn Butterfly or Rembrandt lighting. You know how you get to Carnegie Hall, don’t ya? Practice. Use one light for 10,000 hours. You’ll be a master. In later years Avedon went from one strobe………to none. There is genius in minimalism. This is an iPhone 3G portrait of my girlfriend Natasha as we were waiting for a table at the 5th Street Bar & Wood Fired Grill. I noticed there was Vermeer lighting where Natasha was seated. So Natasha posed, and I took an iPhone snap. The iphone is a fantastic creative outlet for photographers. It requires discipline, as you have to work slowly and think about composition. Everything must be motionless in the picture. You have to freeze time yourself, instead of relying on shutter speeds. I used an App called Camera+ for post-processing. Performed an auto-exposure to set the levels and added a broken border. But it’s all about the subject. The colors and the Vermeer lighting really bring out the beauty and class of Natasha.